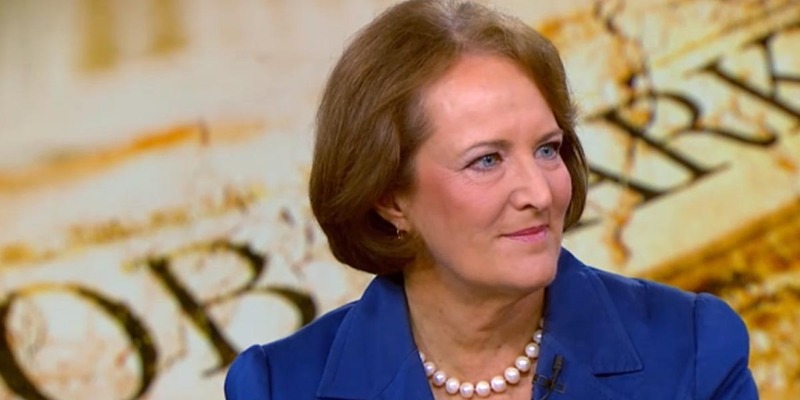 Former SBA Head Karen Mills: I’m Optimistic | Business Forward! Karen Mills was the predecessor to Small Business Administration head Linda McMahon, and Mills is currently a Harvard Business School Senior Fellow who is extremely optimistic about the future of small business. So much so that she has written a book entitled, Fintech, Small Business, & the American Dream, where she describes how technology is opening up new doors for entrepreneurs and the transformative properties of artificial intelligence and big data. As any entrepreneur knows, capital is the life blood of business. You need it from start-up through all phases of growth. The advent of Fintech and the realities of online and virtual banking are all making this possible. The U.S. Census Bureau defines a small business as any firm with fewer than 500 employees. We know that the 30 million small businesses in America provide over half the jobs, and 24 million of those are sole proprietors. Small business creation has been down somewhat since the Great Recession and is worrisome to many. Student debt and lack of start-up capital are how some explain the decline in numbers. 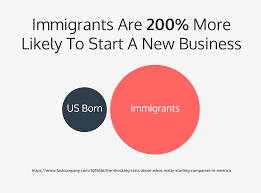 You probably haven’t heard this on your mainstream media station, but legal immigrants are abundant in start-up numbers, even to the fact where the statistics become skewed. Immigrants of previous generations came to assimilate and work, often creating family businesses that helped America grow. Generalizing, today’s illegal immigrant comes unwanted to the border waving a flag of his homeland and bad-mouthing America. These illegal aliens know the benefits are here without having to work. Traditional relationship banking has never been the same since the 2009 recession. The process of loaning small amounts of money, under $100,000, to very small businesses was cumbersome and slow. As such, those who needed capital the most where being serviced the worst. Enter Fintech. The advent of technology and the entrance of new Fintech entrepreneurs began to change that by improving the speed and ease of the small business customer experience and making their financial activity more visible to potential lenders. Technology may have allowed us to turn the corner on the access to capital markets for small loans. The initial innovation that Fintechs brought was in the front end of the application process, automating it and making it digital first. The lending scenario went from months to days, as owners were able to go online, fill out an application in minutes, and get an answer the same day and money in their bank account the next day. Entrepreneurs flocked to the new lenders. At this point the banking behemoths joined the party, not to be left out of potential lending fees. JP Morgan, Bank of America, and Wells Fargo all started working on new solutions. Big tech companies also got involved. Amazon, PayPal, and Square developed lending operations, and American Express and Capital One entered the field. The one major hurdle that has always been the Achilles heel of entrepreneurs has been the ease of access to capital. Fintech is now making that problem more palpable.